The Atlanta Regional Commission forecasts the 20-county Atlanta region will add 2.5 million people and 1.5 million jobs by 2040. Much of the population growth will take place in existing suburbs, but significant growth is also expected in the region’s core. 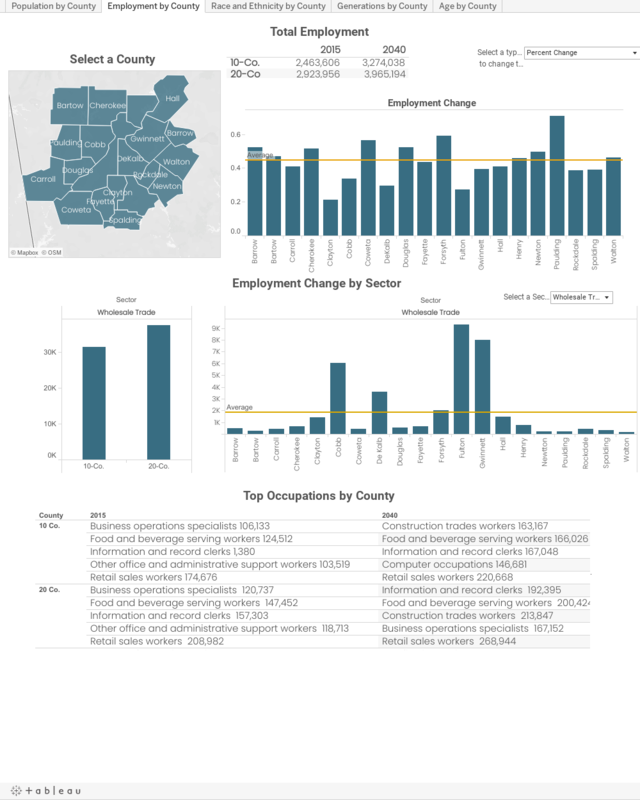 County and regional information can be accessed in the interactive dashboard below. One-page summaries are also available for the region’s 10 core counties.